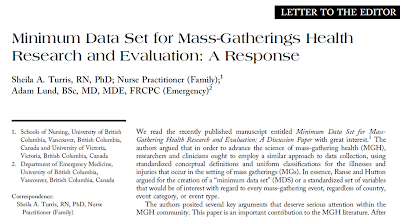 I was fortunate to have someone write a letter to the editor to my original article titled: Minimum data set for mass-gatherings health research and evaluation, which was coauthored with Dr Allison Hutton. This letter to the editor was published in the journal Prehospital and Disaster Medicine. 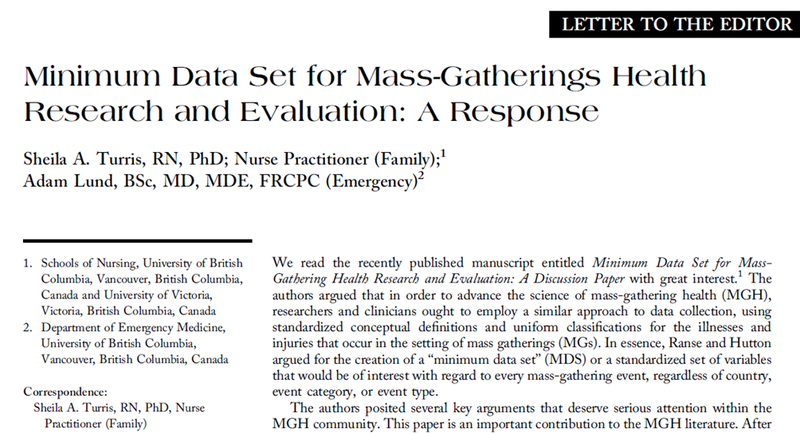 The authors make a number of suggestions to enhance our proposed minimum data set. Additionally, the authors invite us to meet and collaborate with them on future research activities. In response to this letter to the editor, Allison Hutton and I wrote a response. This response was also published in Prehospital and Disaster Medicine. 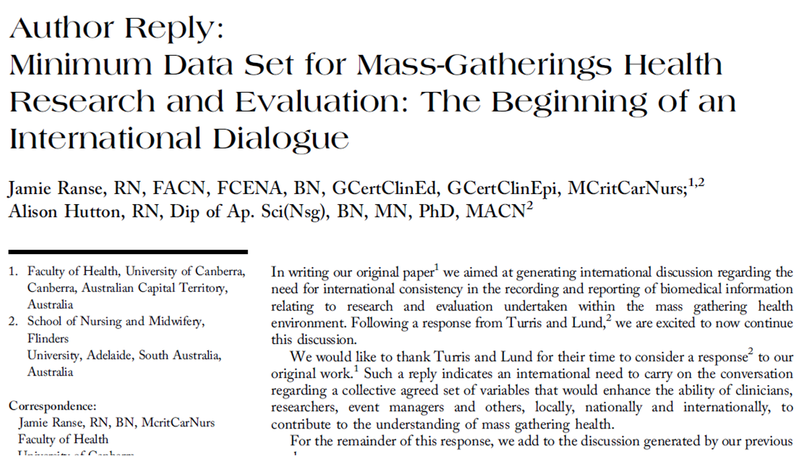 Essentially, this response reiterated our original discussion paper regarding the need for some consistency internationally in the reporting of research and evaluations from mass gatherings. 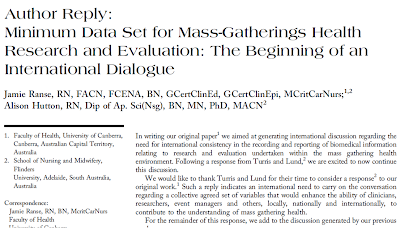 In particular, our original work focused on the need to move from author-dependent, author-varied and author-self-generated data sets to an internationally agreed set of minimum variables for collection at mass gatherings. The aim of this would be to compare events internationally, to gain a better understanding of health service requirements during a mass gathering. Additionally, we have accepted the invitation to meet with the authors who wrote the letter to the editor, and will meet with them face-to-face in May 2013 in Manchester, United Kingdom.